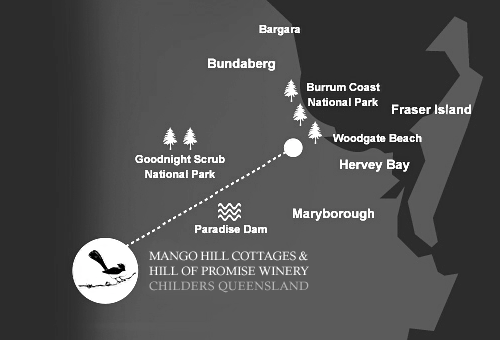 Quietly tucked away from the Bruce Highway, Mango Hill Cottages is conveniently located close to all local amenities and is the perfect place to rest your head on journeys North or South. Childers offers all the charm of an historic town, with 4 wineries in the area. You will find the cellar door to Hill of Promise Winery just a stone’s throw away from your cottage door. 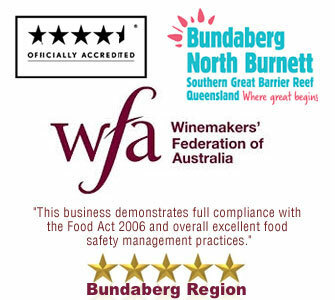 Guests are invited to get social with your hosts and taste some amazing local award-winning preservative-free wines (both red and white). These include Gold, Silver and Bronze winners.